Buying a home is one of the biggest investments you’ll ever make. From the roof to the windows and structure, a home inspection is crucial to ensure that you’re buying a lovely place and not a lemon. So how do you know which home inspectors will serve your needs best? Choose a company with a home inspection certification that will be able to look for and identify any potential problems before you sign on the dotted line. Read on for some helpful information about how these inspectors are vital your home-buying success. Once the home inspector has done their job, they should be able to give you a report that offers a snapshot of the home’s condition. This report will tell you essential information like the current state of the roof, any potential problems like a cracked foundation, and a general idea of the age of the home’s most important components. A home inspection report can be your bargaining chip if you decide to make an offer to the seller. It can also be the key to whether or not you decide to make the purchase or walk away. When you’ve found a pro who’s certified, you’ll have peace of mind knowing that they have been trained to the highest standards. Inspectors who have certification follow a certain set of rules and guidelines that work in your best interest. These guidelines provide detailed instructions on what to look for and where. With a set of rules in place, certified inspectors follow the same routine whether it’s a small condominium or a large four-bedroom home. The result is that you’ll get consistency and someone you can trust will know exactly what to look for. A home inspector cannot tell you how much a particular repair will cost, nor can they give you any type of monetary estimate or recommendation. On the flipside, they can answer any questions you might have about the condition of the home you’re interested in. Don’t be afraid to be present while the home inspection is underway. Take notes, and even take photographs as they go. This will help you document anything you see that may be a red flag or a cause for concern. When the inspection is over, ask the inspector about anything you noticed that looked out of place. 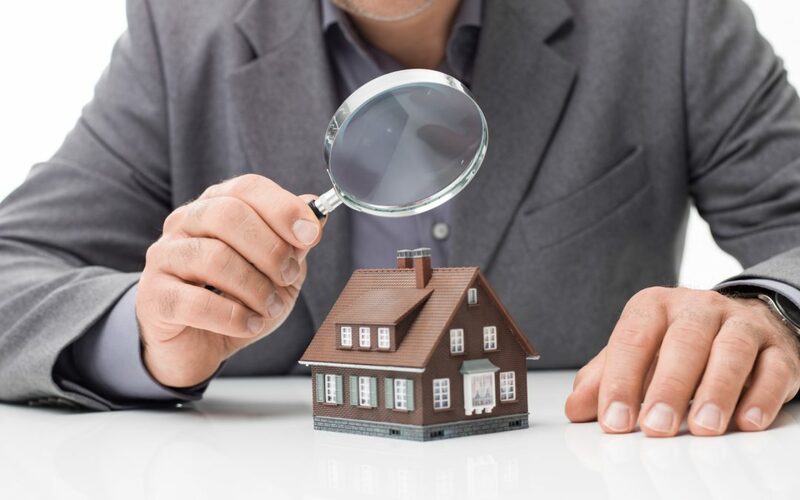 A professional home inspector is happy and able to answer your questions in terms of whether or not the issue will require immediate repair or if it’s something that just comes with age and can easily be fixed. Schedule the inspection during a time where you can be present so you’ll be able to watch the process as it happens. A real certified home inspector goes through much more than just simple on-the-job training. Those who are certified must pass a variety of tests and follow a stringent code of ethics. These inspectors must also pass an exam, and undergo continuing education in order to maintain their certified status. With intensive training and a professional ethics code, you can be sure that your inspector is doing things in step with a stringent set of standards. All home inspectors should be objective, but they should also be honest and have your best interests in mind. Whether you go online to look up customer reviews or you check the Better Business Burea website, do your homework before you choose a home inspector. Many online sites offer customer reviews where you may get new insight into their timeliness, thoroughness, and price. Ask your realtor if they recommend an inspector. Often, realtors use the same home inspector for many years which means they’re probably reliable and trustworthy. Ask friends or family members who have recently purchased a home who they used. The more information you can gather before you decide on an inspector, the better prepared you’ll be. Your mortgage company or broker is another good resource that may be able to offer you a trusted referral. From electrical wiring and plumbing to signs of mold, certified home inspectors are trained to look for every detail. Their keen eye could be the very thing that saves you from making a bad deal on a home. Experienced home inspectors have a good working knowledge of residential systems that include things like the roof, appliances, attic or crawl space, and windows. The entire system of any home works together to provide its inhabitants with a safe place to live. Pick out a home inspector who is willing to give you a sample report that shows everything they look for. This report can give you the confidence to move forward and you’ll be better armed with information, too. Look over the sample report thoroughly and make notes for any areas you might encounter a question about later in the process. Qualified, trusted inspectors look for everything they can to make sure the home is structurally sound and has no major issues. While the cost of a one-time home inspection may be small (typically anywhere from $250 to $1,000), the peace of mind you’ll receive is well worth it. Whether it’s your very first home, a vacation home, or the home of your dreams, it’s by far the biggest investment you’ll ever make. Even if you see a house that ticks all the boxes, using someone with a home inspection certification will help to provide you with the confidence you need to make the purchase. From a code of ethics and in-depth training to providing you with a detailed report, inspectors play an important role in the home buying process. For more information about inspection checklists or to schedule an appointment, be sure to visit our website.